Please check out Carol Gould's new book with Cambridge University Press, Interactive Democracy: The Social Roots of Global Justice. 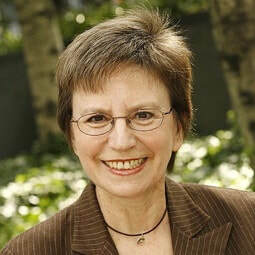 Carol C. Gould is Distinguished Professor in the Philosophy Department at Hunter College and in the Doctoral Programs in Philosophy and Political Science at the Graduate Center of the City University of New York, where she also serves as Director of the Center for Global Ethics & Politics at the Ralph Bunche Institute for International Studies. She is Editor of the Journal of Social Philosophy. A native New Yorker, Gould received a BA from the University of Chicago and a PhD from Yale University. Prior to joining CUNY in 2009, she taught at Lehman College, Swarthmore College, Stevens Institute of Technology, Columbia University, George Mason University, and Temple University. Her research addresses hard questions in social and political philosophy, with particular attention to the relationship between theory and practice. Her interests range across democratic theory, the philosophy of human rights, problems of global justice, feminist philosophy, and critical social theory. 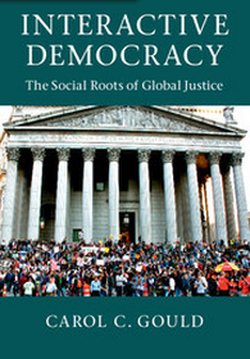 Gould is the author most recently of Interactive Democracy: The Social Roots of Global Justice, published by Cambridge University Press in 2014. It received the 2015 Joseph B. Gittler Prize from the American Philosophical Association. Her previous authored books include Globalizing Democracy and Human Rights (Cambridge University Press, 2004), which won the 2009 David Easton Best Book Award from the American Political Science Association; Rethinking Democracy: Freedom and Social Cooperation in Politics, Economy, and Society (Cambridge University Press, 1988); and Marx’s Social Ontology: Individuality and Community in Marx’s Theory of Social Reality (MIT Press, 1978), which recently appeared in Chinese translation. 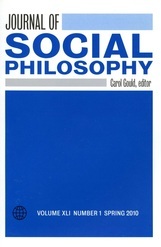 Gould's seven edited books include the influential early collection Women and Philosophy (1976), co-edited with Marx Wartofsky; The Information Web: Ethical and Social Implications of Computer Networking (1989); Gender (1999); and Cultural Identity and the Nation-State (2003). She has also published more than 80 articles in social and political philosophy, feminist theory, philosophy of law, and applied ethics. She has given over 200 invited presentations at universities around the world, including more than 30 keynote and plenary addresses at major conferences. Gould has been active in both the American Philosophical Association and the American Political Science Association, and in 2016-17 served as President of the Human Rights Section of APSA. She is also Executive Director of the Society for Philosophy and Public Affairs, and is Editor the Series in Global Ethics and Politics at Temple University Press. She has previously served as President of the American Society of Value Inquiry, as well as President of the American Section of the International Society of Philosophy of Law and Social Philosophy (the IVR). ​Gould has been the recipient of numerous awards, including fellowships from the Rockefeller Foundation and the National Endowment for the Humanities, a National Science Foundation grant, a Fulbright Senior Scholar Award in Paris, a Fulbright Distinguished Chair Professorship in Political and Social Science at the European University Institute, and a fellowship at the Woodrow Wilson International Center for Scholars in Washington, DC. During 2016-17, she was a Member of the School of Social Science at the Institute for Advanced Study in Princeton, New Jersey.